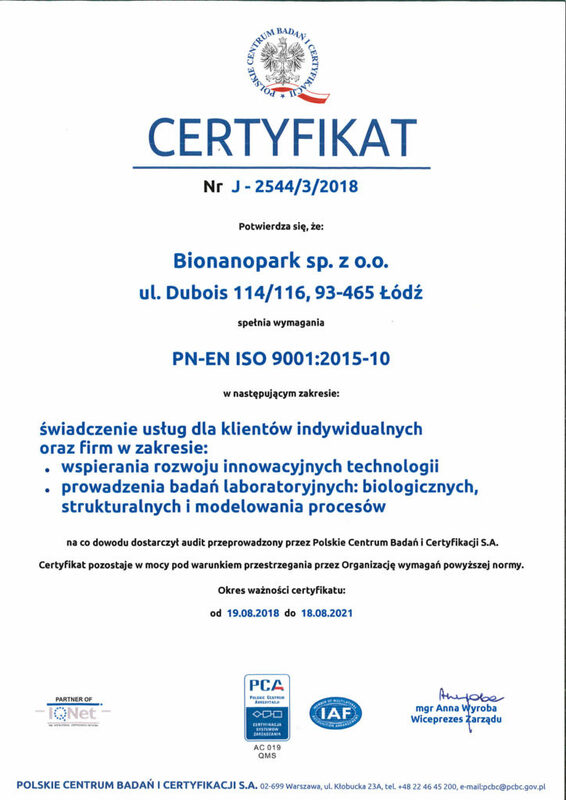 Bionanopark is a science and technology park with an attractive research, investment and incubation offer addressed to companies and institutions operating in the field of advanced technology. Bionanopark is a modern implementation centre for business. The complex includes bio- and nanotechnological laboratories with top-class research equipment. 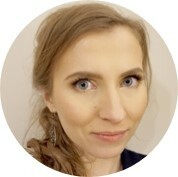 The equipment profile of laboratories was selected in such a way, that entrepreneurs are able to order research at every stage of development of their products or technologies. 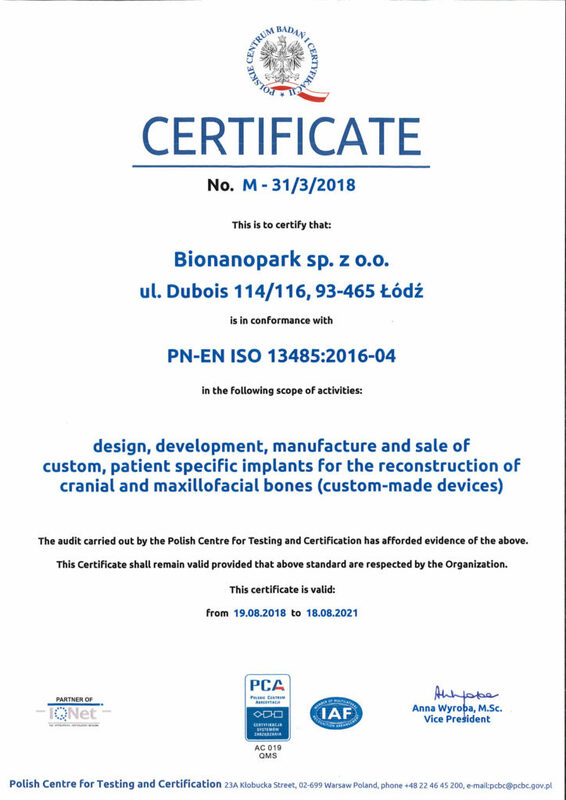 The devices located in Bionanopark allow to carry out various tests in one place and at the highest world level. The research offer is addressed to many industries. 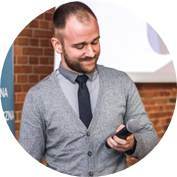 Bionanopark Incubator is a community of young, creative entrepreneurs who want to develop their business in a modern place that provides them minimum bureaucracy and maximum positive energy. Diverse and functional conference rooms for organizing both several-person meetings and several hundred-person conferences, own system for simultaneous interpreting, catering service, free parking in a protected area. The Bionanopark conference center is the perfect venue for organizing any event. 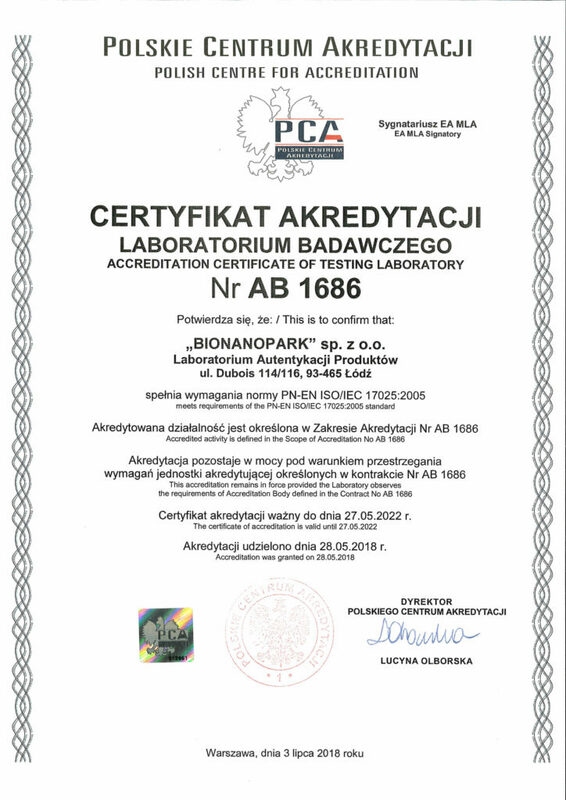 Bionanopark is a perfect place for a company headquarters. A protected area with full infrastructure and dozens of potential cooperants in place. 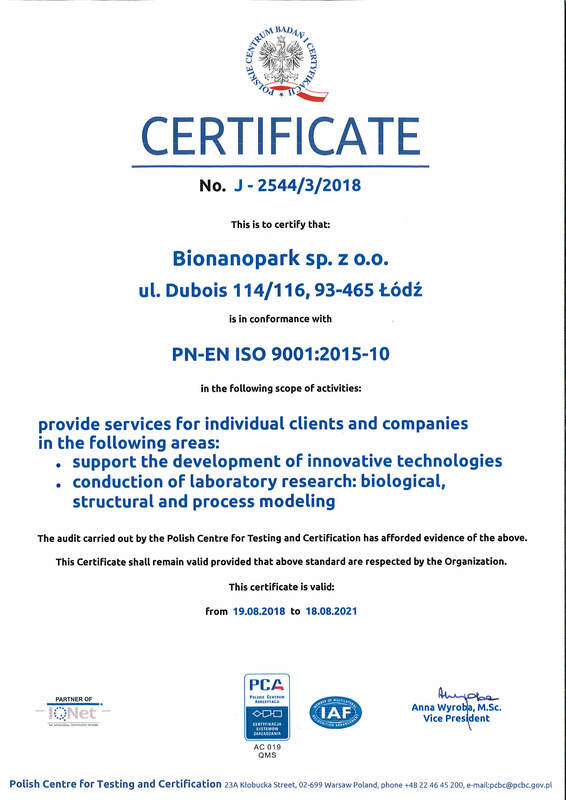 The offer is particularly attractive to those companies that do not wish to invest in their own R&D units while they may outsource the research of their products to the laboratories of Bionanopark implementation centre. 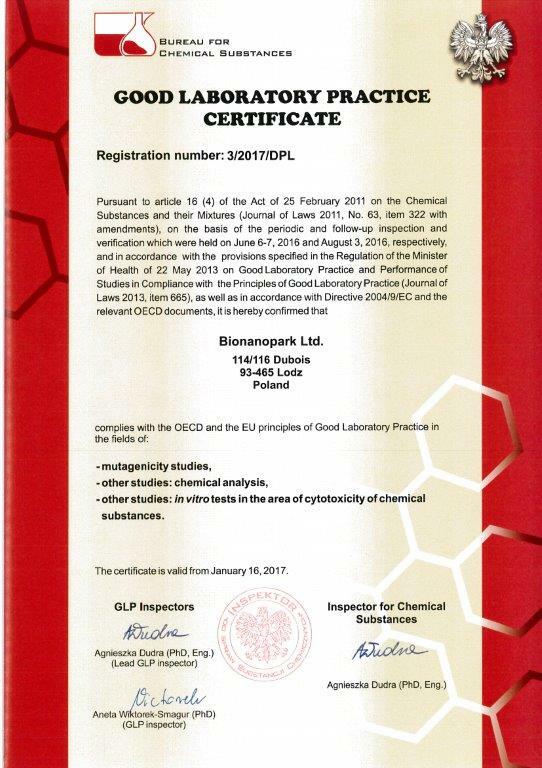 Laboratories of Bionanopark are certified with a Good Laboratory Practice (GLP), issued by the Bureau of Chemical Substances, that confirms compatibility of operation with GLP principles. Implemented in research laboratories principles of Good Laboratory Practice ensure that obtained results are valid, starting from planning and execution, to the proper storage of the source data and the resulting records, so that it is possible to recreate the process of study. We are ISO certified: ISO 9001:2015-10 and ISO 13485:2016-04.
design, development, manufacture and sale of patient specific implants for the reconstruction of cranial and maxillofacial bones (custom-made devices). 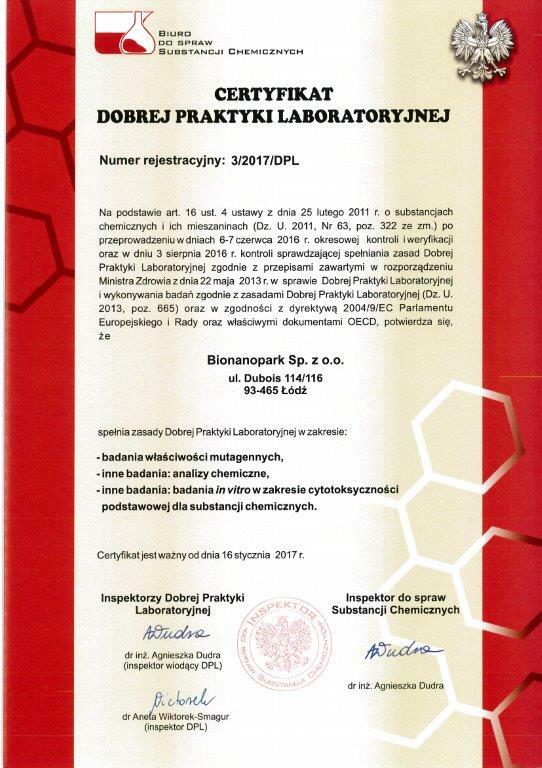 Additionally our Product Authentication Laboratory, as the only one in Poland, is accredited by PCA in the field of wine analysis. 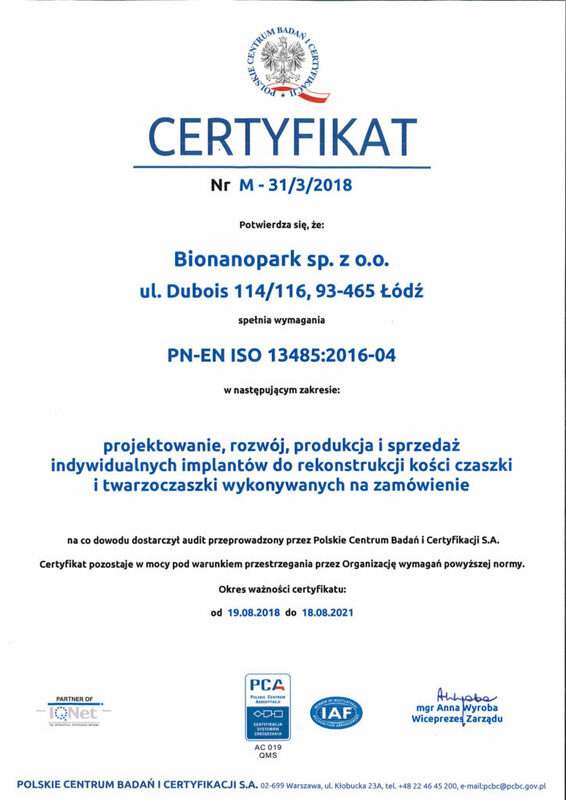 "Located among the greenery, Bionanopark is a great place for young, creative minds who want to work away from the hustle and bustle of the city in comfortable conditions. The choice of the Incubator for the headquarters of our company is one of the most important decisions that contributed to the company's development. 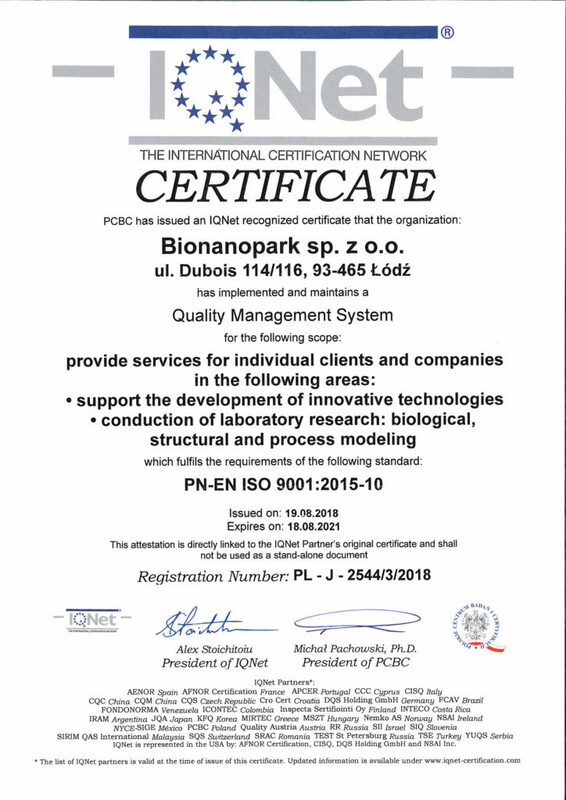 [...]"
"Bionanopark is a lot of innovative companies in one place. 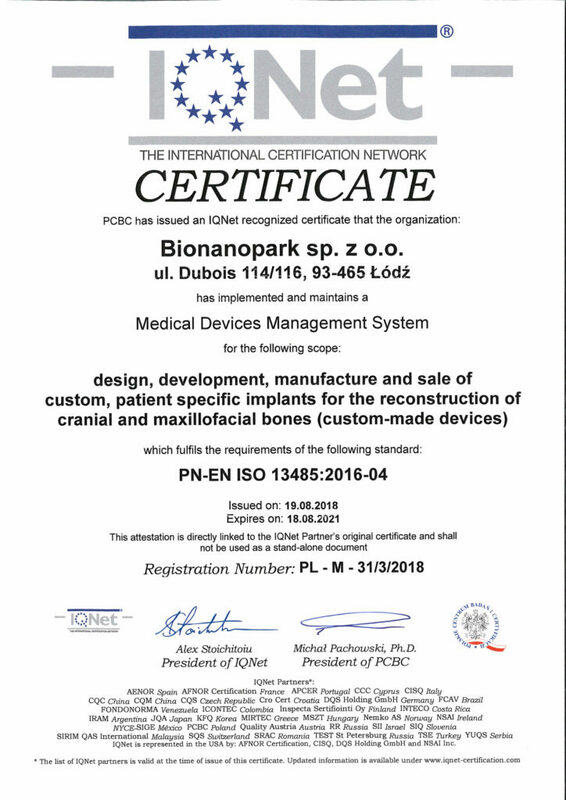 The transfer of our office to Bionanopark allowed us to acquire many valuable business partners." 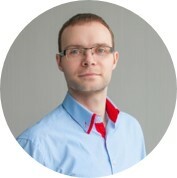 Wiceprezes Zarządu Cleversan Software Sp. z o.o. "In such a moment of our company's expansion, the location in the science and technology park is important to us. In the world, such institutions are well known, so the fact that we have our headquarters here to some extent makes us credible before a foreign client. It is also worth mentioning the friendly atmosphere of work and great cooperation. "